VR Gaming in asia, a big marketplace for indies? This week I was out in Hangzhou, China speaking to some of our international partners. The topic this week Virtual Reality and outdoor gaming. China is having the benefit of a booming market nearly with all things tech. While the UK have been slowly embracing VR waiting for the right games for home use, China however seems as though it’s warmly embracing the concept of Virtual Reality. I’ve had the pleasure of being taken to some of the most cutting edge VR Arcades, tried some exclusive underground VR experiences, hidden deep in the city. To give some context the Chinese marketplace is an isolated one. You’ll find that most app stores / marketplaces are separate from the ones we’re used to seeing in the West. Separate apps tailored to local needs, cultures and sensibilities actually makes for a very interesting and exciting store to discover as a westerner. For example, lets look a Google Play at the time of writing VR apps are dominating the top 20 apps on the store. One of the biggest being Youtube’s VR app. In a nutshell us westerners are still figuring out if we want VR and what to use it for, however in the east there perhaps a little more of an experimental and forgiving nature at play allowing these apps to succeed. A lot of the apps featured in the top 20 are available in one way or another over here (though not all) but the don’t resonate with us as much. Novelty. We are not entertained. Guess it must be our stiff upper lip. And if you’re outside the UK couldn’t say what your problem is. 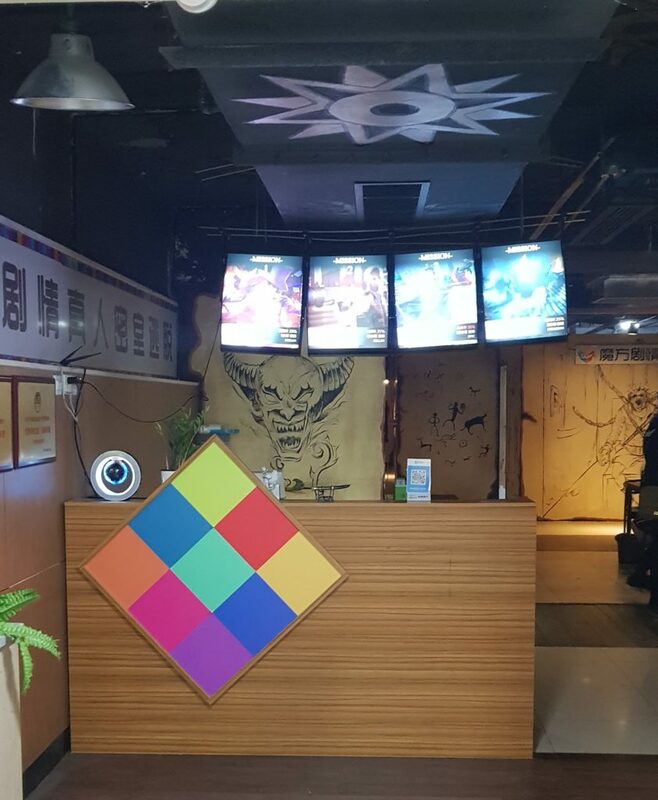 In Hangzhou, I had the pleasure of visiting some the latest VR arcades popping up all over the city. There are a number of experiences / games to choose from, It’s largely what you’d be hoping to see, a large number of miltary and combat games, together with some more experience focused …ahem experiences. Theme park rides don’t really do it justice, you really have to imagine Alton Towers being held hostage by the most genius and insane fun terrorists that have no consideration for your safety but just how much you can scream. So are we about to see a wave of VR arcades over here in the UK and the West ? Quite possibly, VR is new, expensive and the result is in accessible for most wanting a high quality experience. A great example of how this is evolving in the West are companies like ‘The Void’ if you haven’t checked them out you should. There are other smaller arcades that allow you to play games from your steam library rather than bespoke experiences, but my personal feelings are in bespoke experiences for arcades to succeed in the west or more location based VR like the Void. Gaming habits in China is very different too. The Chinese tend not to spend big money on AAA titles Playstation or XBOX titles. They prefer a something more fun and forgettable, one example of this the fact that the flash gaming scene is still alive and well over there. Now this is not to say there isn’t a community of serious gamers, quite the opposite actually. Combing through the city streets late at night and you’ll discover dozens of gamers hidden in LAN party’s, taking part in competitions and more. The scene is very much alive is really more of a different flavour than what we’re used to in the west. How does this compare to the UK? We tried to do the LAN party shop thing a few years ago, didn’t’ really go very far, why ? Well a number of reasons, in the west we tend to spend more overall for our gaming experience. There tends to be less of a demand to find a great gaming rig and so shops over here rarely built the level of community these shops to in China. But who cares about ‘Gaming LAN Party Shop Cafes’ (if that’s what you want to call them), there’s a new king in town now.